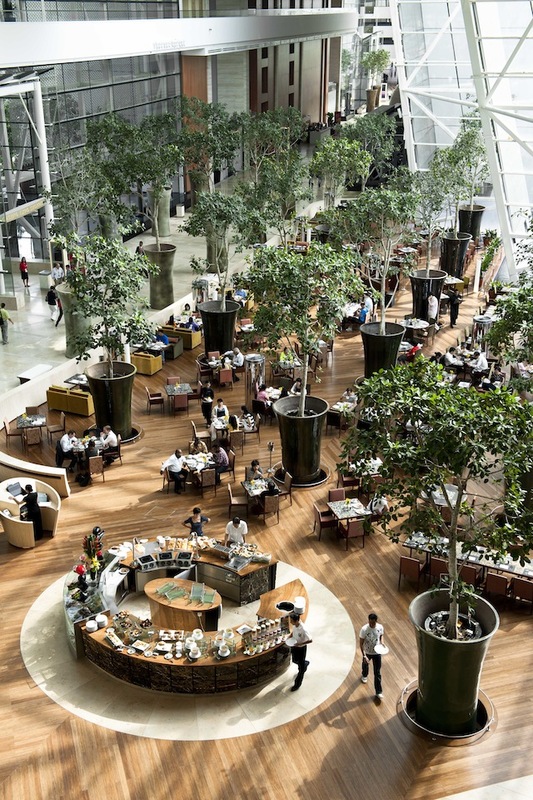 Developed by Las Vegas Sands, and billed as the world’s most expensive casino property, the impressive Marina Bay Sands in Singapore is a truly Integrated Resort. The complex features the world’s largest atrium casino, a 2,561-room hotel, SkyPark with a 150m infinity swimming pool, an ice skating rink, Broadway musicals, luxury shopping boutiques, and plenty of culinary choices from casual-eats to fine dining at multiple Michelin-starred celebrity-chef restaurants. 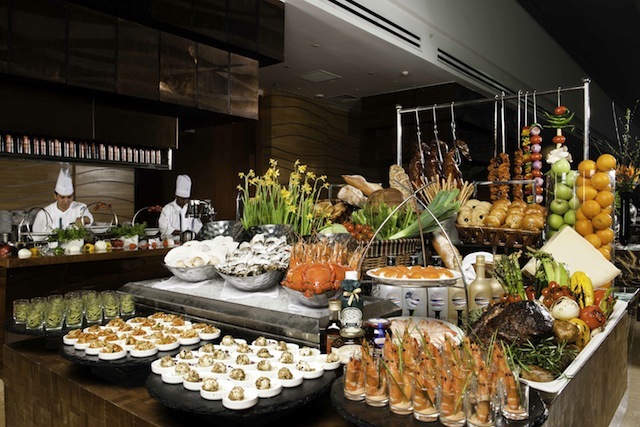 One of the property’s most popular eateries, Rise, is located in the heart of the action in the spectacular hotel lobby of Tower 1 of the Marina Bay Sands. 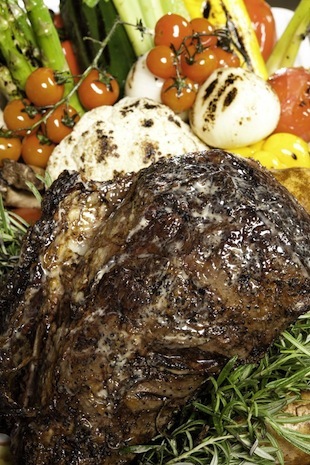 Rise restaurant offers a lavish international smorgasbord of culinary delights. 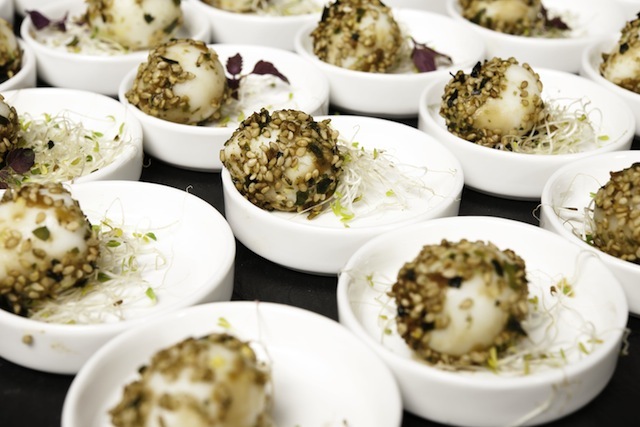 Rise seamlessly blends the best that Singapore and the Asian Pacific region have to offer, with decidedly European and American influences. 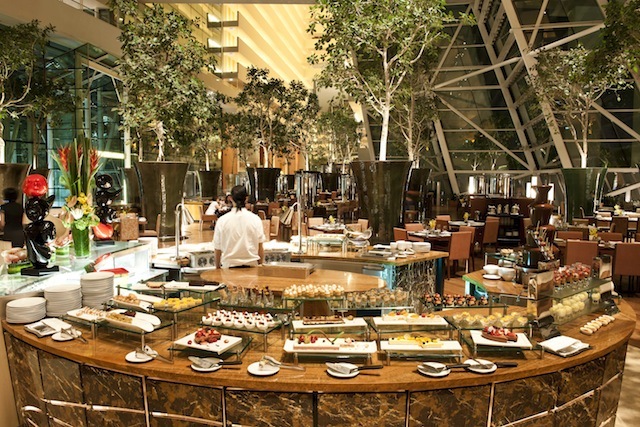 The Rise breakfast buffet, catering only to guests of the Marina Bay Sands hotel, is the ideal place to start your day. 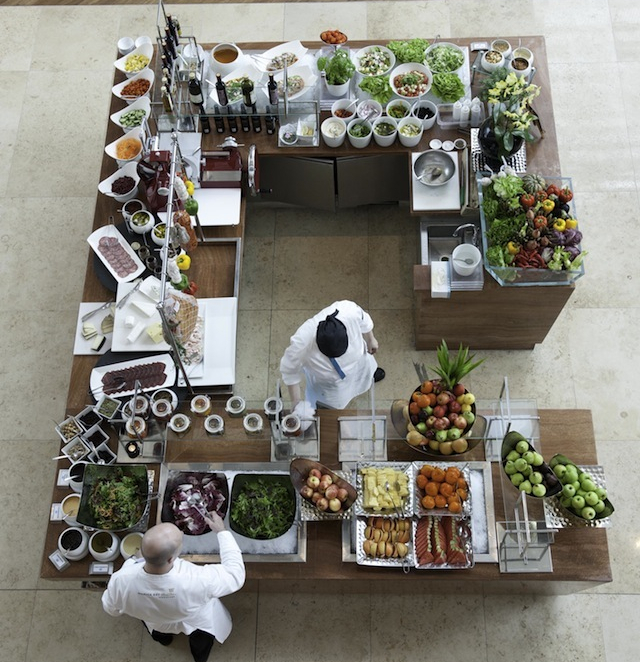 Six state-of-the-art food stations serve up an impressive selection of fresh juices, fruit and salads, smoked salmon and pastries and waffles. 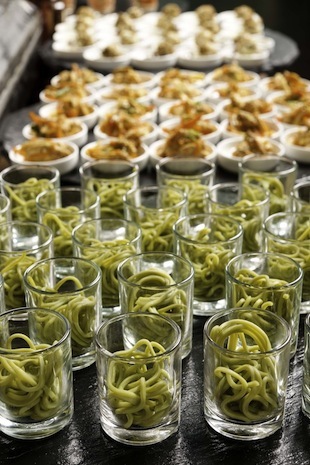 Not to mention hot Asian food dishes like dim sum and Western favorites such as omelets à la minute. 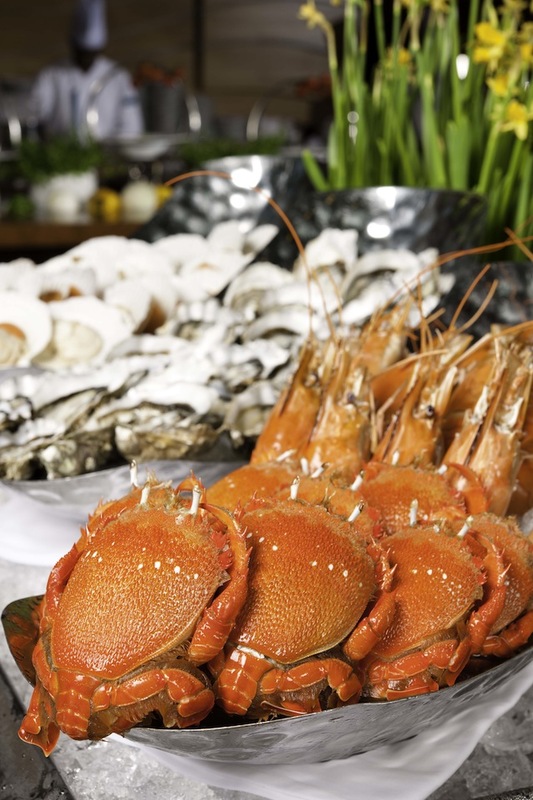 Highlights of Rise’s lunch and dinner buffets, available to hotel patrons as well as the general public, include a sushi and sashimi bar, a Tandoori station, fresh seafood, and intricate desserts such as delicate French macarons. 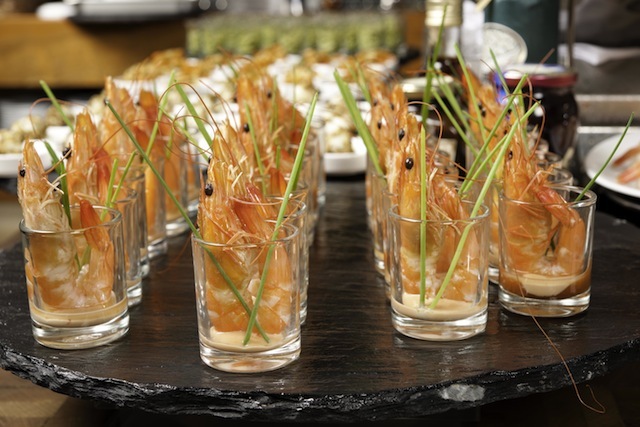 You can opt for dishes from the restaurant’s daily à la carte menu from eleven in the morning to midnight, and on the weekends, Rise offers a sumptuous Afternoon High Tea. 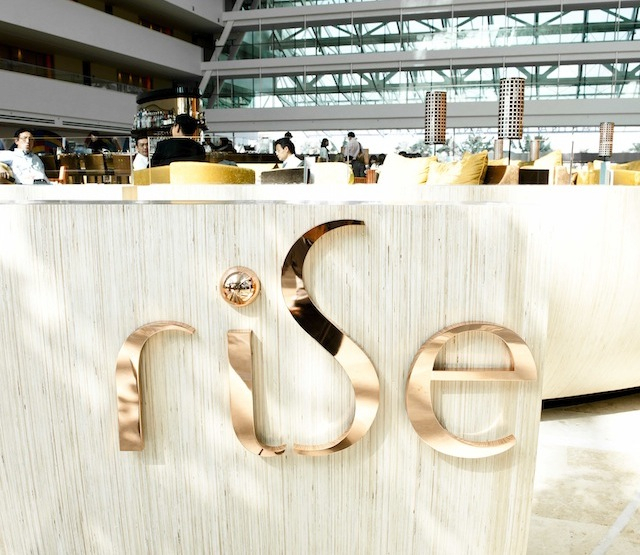 For those looking for fabulous food and a lively atmosphere, Rise Restaurant is the perfect place to dine at the Marina Bay Sands.